Toulouse and Olympique Marseille will be face to face today from 19:30, UK time, in the opening game of the 28th fixture in France Ligue 1. The odds are very balanced, both teams being out of form right now. Toulouse are coming after two fixtures with only a point won so they are still under the red line, being on the 18th place, the first one in the relegation zone. If we talk about home matches, Toulouse recoreded five wins, five draws and lost only three times. The hosts will be without Didot, Ahamada and Roman, injured, while Aguilar is suspended. Marseille are not in the title race anymore in our opinion, proof that they are on the third position right now, there points behind PSG and four points behind Olympique Lyon. OM are coming after a bad run, without victory in their last four league games so their man target remains Top 3 now and Champions League football next season. The guests will come here without Barrada and N’Koulou, injured, while Djedje and Fanni are suspended. Toulouse (4-1-4-1): Boucher – Tisserand, Spajic, Biyik, Moubandje – Grigore – Akpa-Akpro, Trejo, Doumbia, Regattin – Yedder. Marseille (4-2-3-1): Mandanda – Lemina, Aloe, Morel, Mendy – Romao, Imbula – Thauvin, Payet, Ayew – Gignac. As we said, both teams are out of form right now. 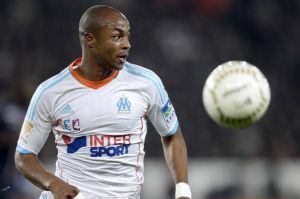 Even so, we expect Marseille to get a good result here, altough won’t be easy to do it. We chose a double chance bet, with OM winning at least one point today. 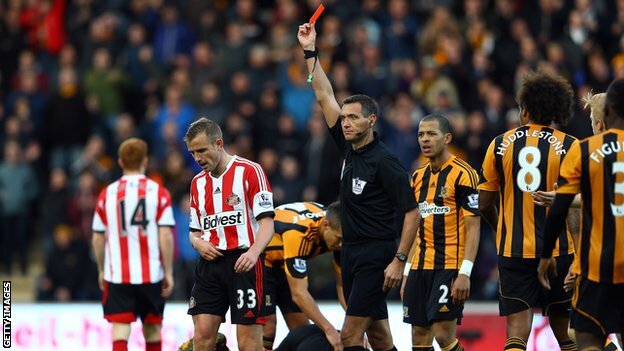 Hull City will host Sunderland today from 19:45 in one of the most balanced games of this round in Premier League. The game is part of the 28th fixture and both teams are coming after defeats last weekend. Hull City lost against Stoke City away, 0-1 and they still have some emotions. To be more precise, The Tigers have 26 points and a 25-36 goal difference, being on the 15th place at the moment, only four ahead the first relegation position. We will see a 3-5-2 formation from the hosts, but they will be without Snodgrass, Rosenior and Chester, all three being injured at the moment. Sunderland are in a bad situation too, coming after four games in a row without victory. The Black Cats lost 0-2 at Old Trafford last weekend and they need a good result here, considering that they are on the 16 place with 25 points, having only three more than the red line. Thei goal difference is a very bad one too, with 22 goals scored and 38 conceded. Adam Johnson is suspended, while Rodwell, Jones and Giaccherini are injured. Hull (3-5-2): McGregor – Dawson, Bruce, McShane – Elmohamady, Livermore, Huddlestone, Meyler, Robertson – N’Doye, Hernandez. Sunderland (4-1-4-1): Pantilimon, Reveillere, O’Shea, Brown, Aanholt – Cattermole – Buckley, Gomez, Larsson, Wickham – Defoe. Both teams have real problems in the attack, proof that they have less than one goal scored per game so far. More than thare, two of the last three meetings on this stadium ended with maximum one goal. 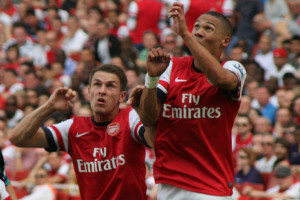 Arsenal and Everton will face each other today from 14:05, UK Time, in the last match in Premier League of this Sunday. The londoners are in pole-position, but surely Everton will not give up very easy. Arsenal are coming after a bad result in Champions League, 1-3 here at Emirates against AS Monaco so they are almost eliminated from UCL. The gunners are on the 4th place in Premier League, with 48 points and a 49-29 goal difference. A victory here will bring them back on the third position. Wenger will be without Arteta, Diaby, Debuchy and Ramsey, all injured. Everton are coming after they managed to qualify in the last 16 round of Europa League and their moral should be ok now.The toffees have a bad season in Premier League, proof that they are only on the 14th place at the moment, with 28 points and a 33-37 goal difference, having only six points ahead the relegation zone. Roberto Martinez will be without Hibbert and McGeady, injured. Arsenal (4-2-3-1): Ospina – Bellerin, Paulista, Koscielny, Monreal – Coquelin, Cazorla – Walcott, Ozil, Sanchez – Welbeck. Everton (4-2-3-1): Howard – Coleman, Stones, Jagielka, Baines – McCarthy, Besic – Lennon, Naismith, Mirallas – Lukaku. Arsenal have a much stronger squad from every point of view and more than that, Everton have a bad season in EPL, as we said. We expect the londoners to get three points here in front of their own fans. After a spectacular draw in the first leg in Scotland, we expect another exciting game between Inter Milano and Celtic Glasgow, two teams that are getting better and better as you can see if you take a look at their last results. Inter Milano are coming after a good run, with three wins and two draws in their last five matches, ending a bad run of three defeats in a row. The italian side managed to score three goals last week in Scotland and now they have first chance to qualify in the next round, but surely Celtic will not give up too easy. Jonathan, Nagatomo and Handanovic are injured, while Podolski and Brozovic are ineligible for this duel. Celtic Glasgow are in an excellent form before this game, with eight wins and a draw (3-3 vs Inter) in their last nine competitive matches in 2015. We have to say that Celtic Glasgow won all their six trips in 2015, scoring 12 goals and conceding only one. The scottish side will be without Charlie Mulgrew and Mikael Lustig, both players being injured right now. Inter (4-3-1-2): Carrizo – Campagnaro, Vidic, Jesus, Santos – Guarin, Medel, Kovacic – Shaqiri – Icardi, Palacio. Celtic (4-2-3-1): Gordon – Matthews, Denayer, Dijk, Izaguirre – Bitton, Brown, Commons, Johansen, Armstrong – Guidetti. As we said, we expect another spectacular game between these two sides, with goals from both of them. The odds are very attractive, 1.83 at the moment in Bet365’s offer. One of the most interesting games of the last 16 round in Uefa Champions League is this one between Bayer Leverkusen and Atletico Madrid. The first leg will take place today from 19:45, UK Time. The german side is starting with second chance at bookmakers and we consider that this is a normal thing. The hosts are not in their best form this year, proof that they managed to win only a game out of five in 2015, 1-0 against Hertha Berlin three weeks ago. Robbie Kruse is injured, while Omer Toprak will miss the game too, considering his suspension. Spahic will probably partner Papadopoulos in the centre of defence. Atletico Madrid will try to get a good result here to make their mission a little easier in the second leg. Arda Turan and his teammates won three of the last four competitive games, one of them being that victory against Real Madrid, 4-0 at Vicente Calderon. Koke and Tiago are doubts and they could miss the game, but other than that, Simeone has a fully fit squad today in Germany. Leverkusen (4-2-3-1): Leno – Donati, Spahic, Papadopoulos, Wendell – Rolfes, Castro – Bellarabi, Calhanoglu, Son – Drmic. Atletico Madrid (4-4-2): Moya – Juanfran, Miranda, Godin, Siqueira – Turan, Gabi, Suarez, Niguez – Griezmann, Mandzukic. We decided to don’t risk very much today and our bet is a double chance one, with Atletico Madrid getting at least a draw against Bayer Leverkusen today, the odds being around 1.35 right now. Sampdoria and Genoa will face each other in a local derby this Tuesday from 17:30 (UK Time). The game was scheduled for the last weekend, but the rain postponed it for this week. The odds are very balanced as we expected. Sampdoria are coming after a bad run, without victory in the last four league games (2 draws and 2 defeats). They are still fighting for an european cup spot, but at the moment they are on the 7th with 35 points and a 29-26 goal difference. They are four points behind Top 5 and seven behind the podium. The hosts will be without Cacciatore and Munoz, both injured. Genoa seem to be in a good form, proof that they are coming after two wins in a row, being back in business if we can say that. They have the same numbers of points as Sampdoria (35), but a better goal difference, with 35 goals scored and 28 conceded. They are on the 6th place and a victory will take them at only one point behind Fiorentina (5th position). Marchese, Costa and Borriello are injured and will miss the derby. Sampdoria (4-3-1-2): Viviano – Silvestri, Romagnoli, Silvestre, Mesbah – Obiang, Palombo, Acquah – Soriano – Eder, Okaka. Genoa (4-3-3): Perin – Roncaglia, Burdisso, Maio, Edenilson – Kucka, Rincon, Bertolacci – Perotti, Niang, Falque. We expect a spectacular derby between these two sides, with goals from both sides, even if we have not seen that in the last three meetings. Paderborn vs Bayern Munchen seems to be the most unbalanced game of the 22nd fixture in Germany Bundesliga. It is scheduled today from 14:30, UK Time, and the bavarians are in pole-position to get three points here. Paderborn are new-promoted this season and they have a clear target, to avoid the relegation. After 21 fixture, the home side has a good chance, being o the 13th position at the moment, with 23 points and a 23-35 goal difference, two points over the red line. Paderborn will have two missing players, Ducksch and Bertels, both injured. Bayern Munchen will be without Gaudino, Alcantara, Lahm and Javi Martinez, all four being injured or not 100% fit. Guardiola and his players are leading the table in Bundesliga, with 52 points out of 63 and the best goal difference in the league, with 53 goals scored and only nine conceded. They have eight points against Wolfsburg (2nd place) so there are no concern about their title chances. Paderborn (4-1-4-1): Kruse – Wemmer, Rafa, Hunemeier, Bruckner – Rupp – Koc, Bakalorz, Vrancic, Meha – Kachunga. Bayern (4-1-4-1): Neuer – Rafinha, Boateng, Badstuber, Alaba – Schweinsteiger – Robbe, Muller, Gotze, Ribery – Lewandovski. We expect Bayern Munchen to control the whole game, taking the lead in the first half and winning three points here. We recommend you to try this prediction at Bet365, because they offer the best odds for our bet.